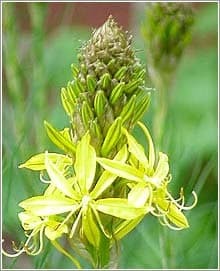 Safed Musli (Chlorophytum borivilianum), a divine herb, is a tuber crop that is partly an herb with sub-erect lanceolate leaves (Long and wide in the middle) and a tuberous root system. It can grow up to a maximum height of 1.5 ft. while the tubers can grow up to a depth of 10″. The plant is an important ingredient of CHYAWANPRASH, and is commonly found in some patches of the forest areas in India as well as in Maharashtra. 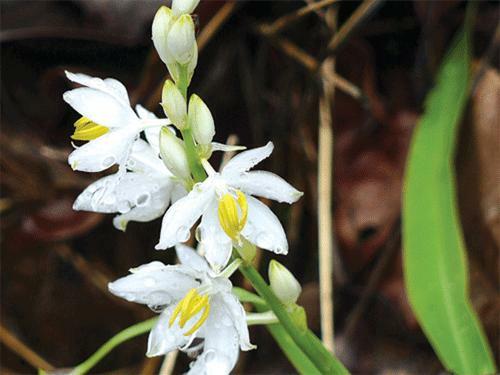 The plant has reached rare status in nature due to overexploitation; and owing to its increased demand as a safe herbal alternative to chemical-based Viagra, the species has attracted the attention of farmers as well as researchers in several institutions. The leaves of safed musli are around 15 to 45 cms long and around 2.5 cms wide. They have soft hair and the leaves whose tips come in contact with soil produces adventitious roots. Safed Musli requires well drained loamy to sandy loam soils rich in organic matter. Warm and humid climatic condition with good amount of soil moisture during the growing season favour luxuriant vegetative growth and facilitate fleshy root development. The seeds are black in colour and with angular edges that takes around 2 -3 weeks to sprout. They look similar to onion seeds in appearance. The seeds or roots (fingers in this case) are planted at a distance of 35 to 40 cm apart in organically rich soil. The plant matures in about 3 months and requires bright sunlight for good growth. Weeds should be controlled and any kind of deficiency should be immediately traced and the required element should be supplied. This plant needs regular care and from the time of sowing until harvesting, the plant and soil needs utmost care. At maturity the leaves start yellowing and ultimately dry up from the collar part and fall down. The plant could thus be harvested when leaves have dried. During digging of plants, fleshy root bunches should be lifted from the soil. The harvested fleshy roots are cleaned and the skin removed. The white musli tubers obtained are dried and spread in the shade for about 4-7 days. The fruit is a 4-seeded capsule, with a slender beak and spongy septa. The roots are stout, short or elongate, more or less cylindrical, 4 to 15 cms long and 0.5 to 1 cm wide. 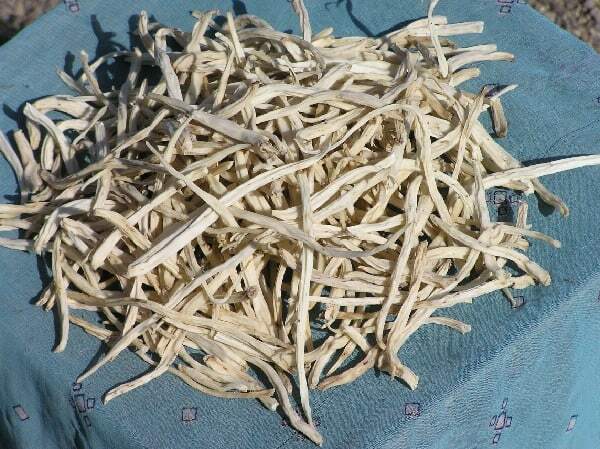 Dried roots of Safed Musli contain 42% carbohydrate, 8–9% protein, 3–4% fiber and 2–17% saponin: saponin has the medicinal property of enhancing vitality and immunity in human beings. It also helps in correcting gynaecological disorders. There are many other therapeutic uses of safed musli where dried tubers are used as a curative for pre-natal and post-natal illness, arthritis, restorative and a health tonic etc. The root stock extracts is effective mainly on the urinary system and is considered to be diuretic in action. When prepared as a paste with goats milk or honey and applied locally over the face, Safed Musli, brightens the complexion of the face. Me, I am a Green Warrior and yes you are either with me or against me! On paper I’m a telecommunication engineer but professionally, a farmer. Work takes me setting many-a-farms, tilling many-a-lands and playing with soil which I thoroughly enjoy. I love playing football (avidly), going cycling, watching Formula 1 and writing! The author strongly recommends consulting an ayurvedic doctor on the correct usage of safed musli for optimum results.